‘FAN N STAR’ held EXO Baek hyun’s Birthday advertisement support event. [The Fact] The idol weekly ranking website FAN N STAR operate by The Fact, has opened the group EXO's Baekhyun birthday support event. FAN N STAR began supporting EXO's Baekhyun on 5. Fans are already rushing to participate in the electronic display board support that shows their support for him on May 6. 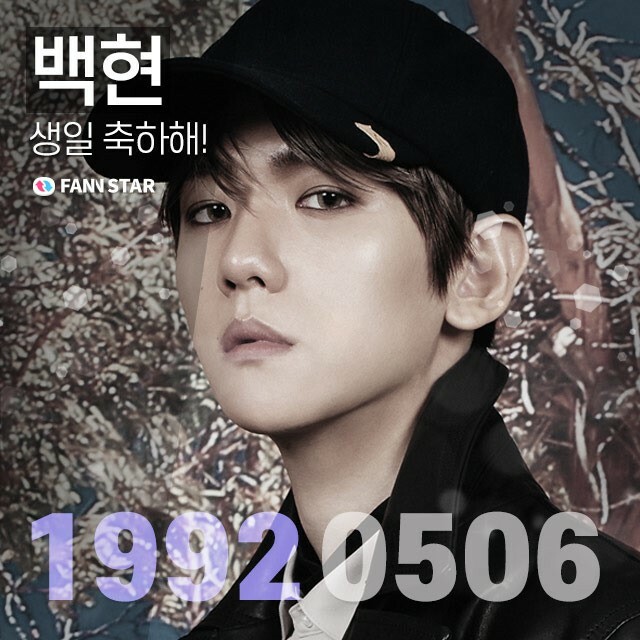 Baekhyun's support, organized by FAN N STAR will show congratulatory videos at 43 stations in the waiting room of Seoul Subway Line 2 when it achieves 100,000 stars (points can be collected in the FAN N STAR website). If it achieves 400,000 stars, the electric display board on Seoul Subway Line 2 will run advertisements for foreigners Travel buses. And if it achieves 600,000 stars, it will screen congratulatory videos through the Apgujeong CGV screen, and if it achieves 900,000, it will also be able to win the Hongdae Multivision, it is drawing attention from fans.